Poplin fabric is a strong fabric in a plain of any fiber or blend. It generally weaves with fine combed warp and weft yarns in tight structure, so the surface looks uniform and plain, feeling smooth and soft. Poplin was introduced as papelino in the 15th century from Avignon, France. It was woven by silk in warp and wool in weft with tight construction. However, the definition of poplin fabric has been changed today, its weaving style is much more frequently mentioned than its primary materials. As mentioned above, materials of poplin fabric are not limited to silk and wool, becoming more flexible. Generally, current poplin fabric uses cotton, polyester, nylon, rayon and their blends as materials. Normally, poplin fabric use cotton or cotton blend as warp yarns, and cotton, cotton blend, polyester and nylon as weft yarns. During weaving process, warp yarns are parallel, then weft yarns cross under and over the warp yarns one by one as shown in the picture. 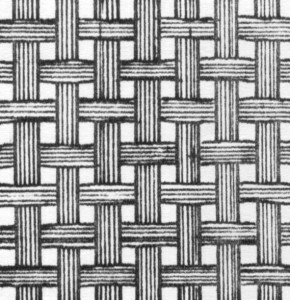 Plain weave keeping fabric surface smooth and plain. The differences between broadcloth fabric and poplin fabric are yarn count and density. 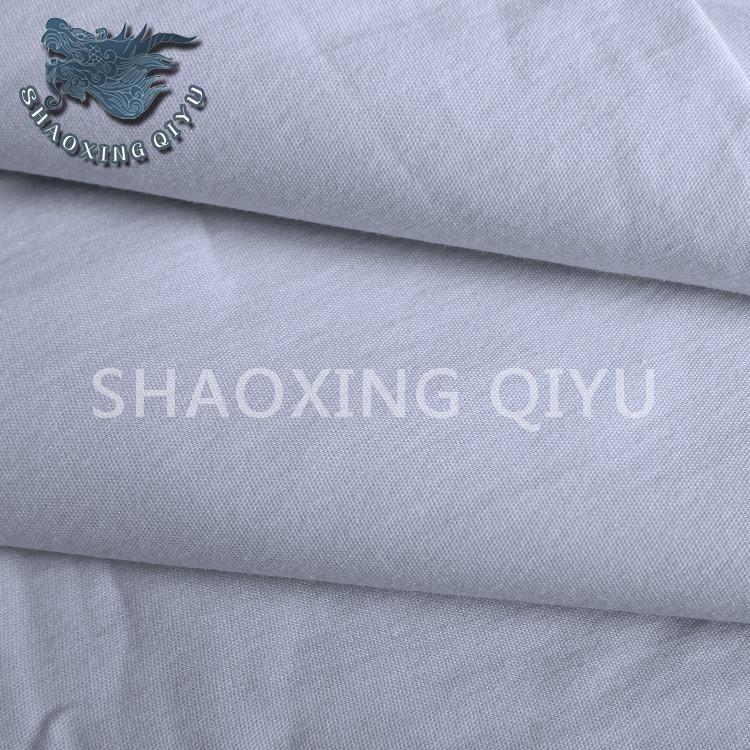 General broadcloth fabric has same or similar yarn counts and densities in warp and weft, but poplin fabric can be different. For example, 50s*(40d+20d SP)/152*88  cotton nylon spandex poplin fabric has very different yarn counts and density in warp and weft. In poplin, warp density is higher than weft density, and the yarn counts can be same or different. Nowadays, poplin fabric is commonly used to make uniform shirts because of its smooth and vertical surface. Shirts with poplin fabric make peoples look cool, dynamic and high spirited. It is also applied in manufacturing of womenswear and children’s wear. 50s is yarn count of cotton yarns in warp, 40d is yarn count of nylon yarns in weft, 20d SP is the yarn count of spandex fiber which is added in weft. 152*88 means the density of warp and weft yarns. 50s equals to 106.3d.